Fig. 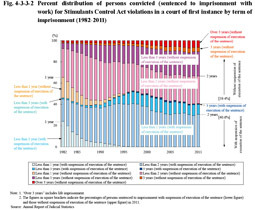 4-3-3-2 shows the percent distribution of persons convicted (those sentenced to imprisonment with work) for Stimulants Control Act violations in a court of first instance by term of imprisonment over the last 30 years. 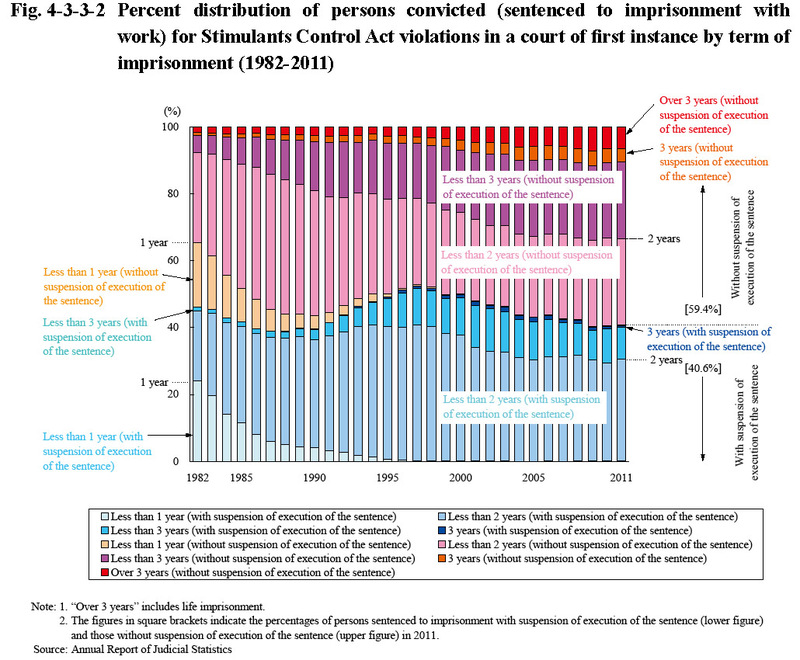 The proportion of persons sentenced to imprisonment without suspension of execution of the sentence was on a rising trend from 1998. That of those sentenced to imprisonment for two years or more without suspension of execution of the sentence was also rising from 1982.